Cyber security is more important than ever, with ransomware and malware exploding across the Internet. Small businesses may feel safe from many hacks due to their size alone, but the reality is that SMBs do a great deal of business with larger enterprises – making the smaller business the “weak link” for access to an enterprise and prime real estate for a major attack. Without the resources of a much larger organization, how can you keep your business safe from these cyber criminals? InfiNet Solutions provides fully-managed IT cyber security offerings that keep your business covered from all angles. One of the fastest ways into a business is via email, so how can you be sure that your email is as secure as it needs to be? Email encryption and email security are two front-line security mechanisms that will help keep your company’s important data secure and protect your employees at the same time. 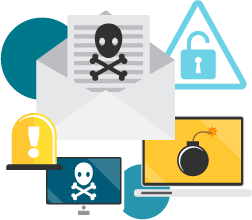 We utilize Office 365 and Reflexion to provide our partners with cloud-based email security, archiving, encryption and continuity. Some customers want us to test the security of their systems through a series of ethical hacking intrusions, or penetration testing with IT assessment tools. 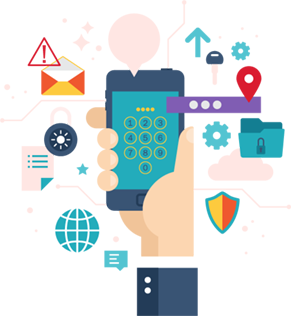 We do offer this service and utilize Network Detective from RapidFire Tools to automate compliance testing and HIPAA reporting as well. Managed WiFi services through Ruckus and Cisco Meraki allow us to provide your business with end-to-end seamless Internet access virtually anywhere across your business. These tools allow InfiNet Solutions the oversight needed to balance and maximize wireless access for your employees and any onsite customers as well.